Tub set. 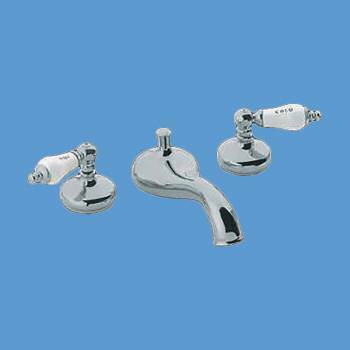 This faucet is ideal for any deck mount tub. eatures ceramic disc and 1/4 turn washerless valves in stem assembly. Adjust from 8-15" widespread. Chrome finish with porcelain levered handles.